Heineken Malaysia Bhd has launched the all-new 0.0% alcohol Tiger Radler Lime Mint. Described as a sparkling malt drink with natural citrus juice, the alcohol-free drink is now available at selected stores in Malaysia from December 2017 onwards. 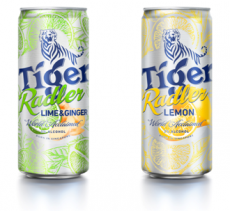 The new Tiger Radler Lime Mint 0.0% reminds me of Tiger Zero, which was made available on a trial basis at selected food service establishments including at Sanoook in October-November 2016. 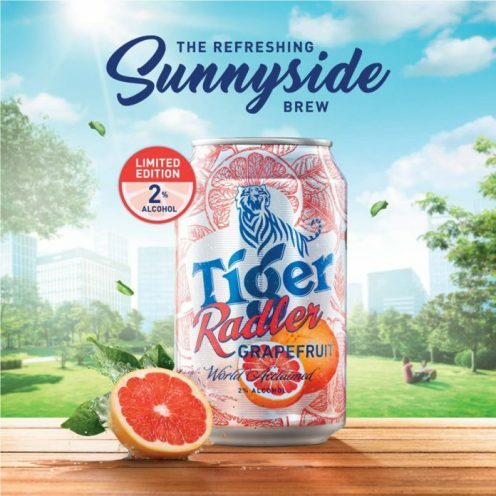 Obviously, the company decided not to proceed with Tiger Zero and replaced it with a Radler version in the form of the new Tiger Radler Lime Mint 0.0%. 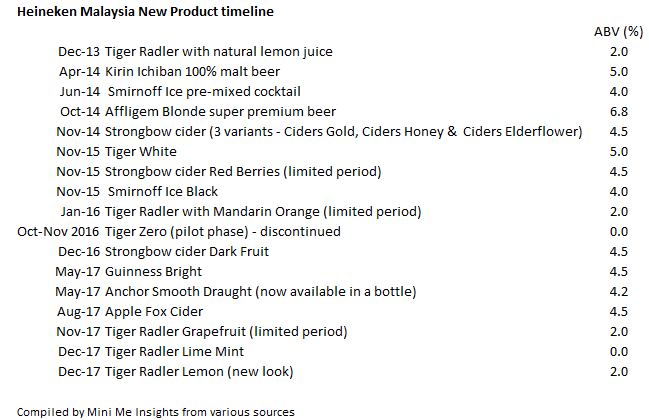 Heineken Malaysia now has two non-alcoholic products under its stable – Tiger Radler Lime Mint 0.0% and the lightly carbonated Malta. The latter does not contribute much to the company’s revenue – only a few percentage, according to the company. In Indonesia, PT Multi Bintang Indonesia Tbk was quite early to the game with the launching of the lemon version of Bintang Radler 0.0% in 2016. The zero-alcohol drink was given a packaging makeover in 2017. He rightly said that any new product from the non-alcoholic segment would be realised only in 2017. Also launched in December 2017 is the limited edition Grapefruit variant with a 2% ABV. 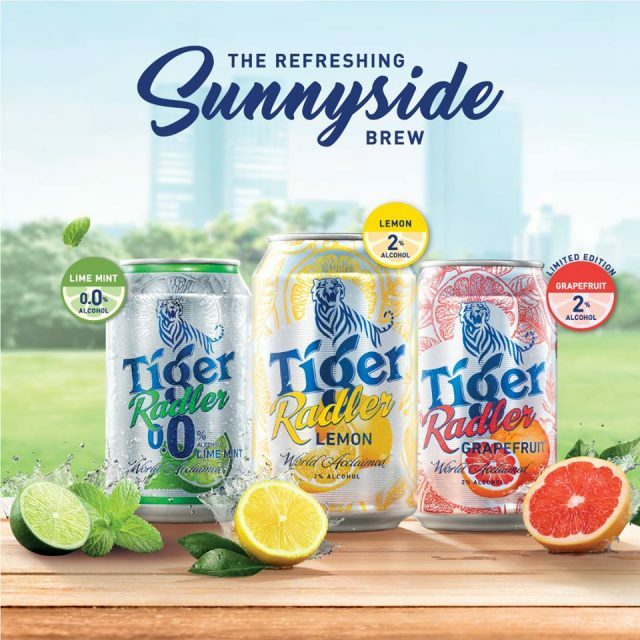 In Singapore, Heineken debuted the new limited edition flavour Tiger Radler Lime & Ginger with a 2% ABV and the sleek can for the existing Tiger Radler Lemon. The new can size meets today’s consumer preferences in terms of being sleeker, easier to hold and transport and able to chill quicker than the regular cans. 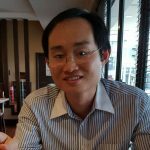 “At Tiger Beer, we always strive to be at the forefront of innovation. 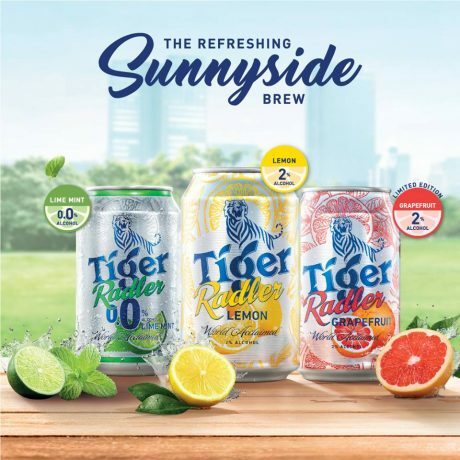 Our new sleek cans are more stylish and sophisticated, an appearance that is as refreshing as the much-loved Tiger Radler within,” says Ms Venus Teoh, Marketing Director at Asia Pacific Breweries Singapore.